We also have a limited quantity of 3 and 6 liter bottles. Please call 866-279-4637 for more information. Beautiful, dark fruit aromas of blackberry, huckleberry, vanilla, cedar, black currant, toffee and even a hint of lavender and violets appear in this seductive wine. This wine showcases our ability to consistently produce Cabernets of lush texture and tremendous ageability. 94 points, Wine Enthusiast. This wine showcases our ability to consistently produce Cabernets of lush texture and tremendous ageability. A luscious reflection of our beloved home in the Stags Leap District, with tremendous age ability. A beautiful, deeply textured Bordeaux style blend. 94 points. An impressive magnum bottle of our celebrated Ganymede Cabernet Sauvignon. 93 points, Wine Enthusiast. The perfect give or a beautiful centerpeice to your cellar, this magnum bottle will age beautifully for years to come. 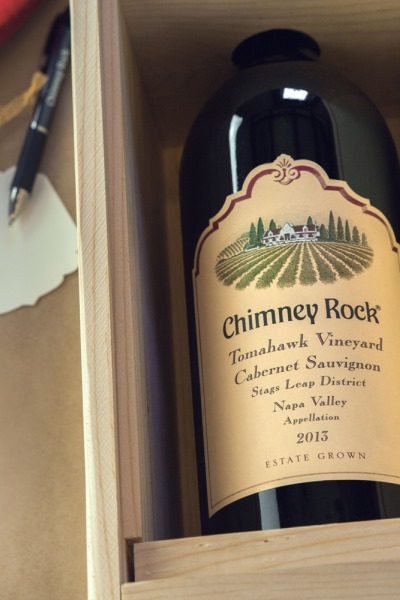 Our most coveted Cabernet is perfect for sharing with family and friends this holiday season. A beautiful magnum bottle of our complex and alluring Bordeaux blend. Drink now or age 10-15 years.